Airborne & Special Operations Museum, Fayetteville, N.C.
Groups will find America around every turn in Cumberland County. 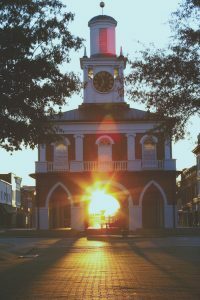 A combination of small town Americana, metropolitan excitement and rich history creates a unique backdrop for visitors. And Southern hospitality combines with museums and theaters, dining, recreation and assorted entertainment options to provide a fun-filled getaway that can be personalized for any group. The group getaway begins with a historic walking tour of downtown. A local guide will vividly recount the history, stories and people who were important to Fayetteville. Visit the Fayetteville Area Transportation and Local History Museum to learn about the transportation system that united the Colonies. Next, enjoy the treasure trove of unique artifacts and collectibles at the Fayetteville Independent Light Infantry Armory. Discover the citys unique architecture through a tour of several historic churches. Then the group will stop at several other historic places in downtown Fayetteville  the Market House Cool Spring Tavern and Liberty Point. A popular option for dinner is Heritage Square, hosted by the Womans Club of Fayetteville. The group will enjoy a unique, catered dinner along with a Colonial-style tour and storytelling. Begin the day with a guided tour of Fort Bragg, an important U.S. Army Installation and, by population, the largest military base in the United States. A guide will provide insights and stories. See the headquarters of the famous Golden Knights parachute team, receive a guided tour of the 82nd Airborne Division War Memorial Museum and visit the parachute packing area. For an authentic experience, plan a lunch on post with local patriots. 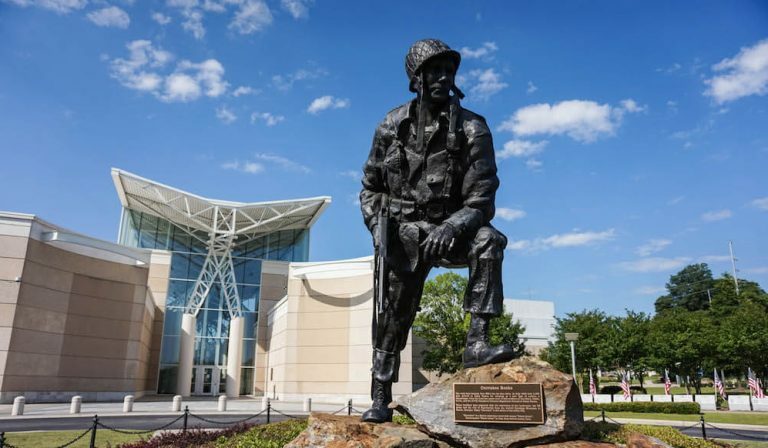 In the afternoon, visit the Airborne & Special Operations Museum, which highlights the role of the U.S. Armys airborne and special operations forces since 1940. Next, travel to North Carolina Veterans Park, the first state park dedicated to all military veterans from each of the five service branches. 1879 Poe House, Fayetteville, N.C.
Have dinner at the Hilltop House, a popular local eatery and historic home, circa 1910. Following dinner, the group will learn abut the history and features of the house. Advanced reservations required. 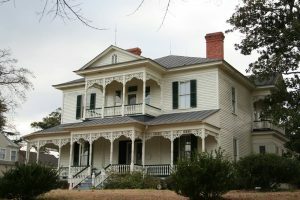 The day begins with a visit to the 1897 Poe House, home of an affluent Fayetteville businessman and his family and part of the Cape Fear Museum Historical Complex. There, the group can discover innovations and changes that defined the turn of the 20th century. Then, its off to the Cape Fear Botanical Garden, where groups of 25 or more people receive a discounted rate. Nestled on 77 acres, the garden boasts of blooms year-round. Visitors experience more than 2,000 varieties of plants and specialty gardens. Enjoy a self-guided tour or have an on-site docent explore the garden with the group. A variety of tour options are available. Specialty garden tours include: Flower Promenade, Urban Forest, Down to the River Hike and Heritage Farm Life. After some outdoor time, end the tour on a high note with Lunch at Fullers Old Fashioned BBQ in Fayetteville. The restaurant, a local favorite for decades, was recognized by Southern Living as a top stop along Interstate 95. Find more North Carolina itineraries here.